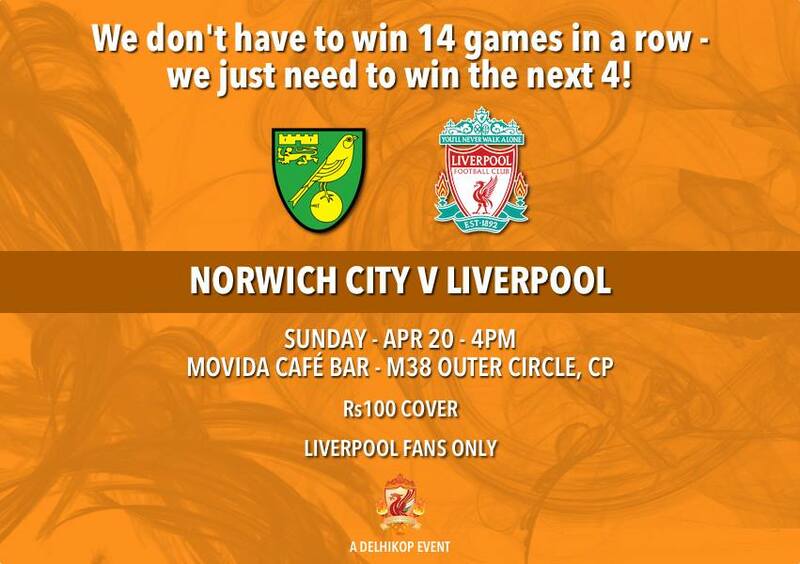 DelhiKop Match Screening – Norwich City v Liverpool! With less than a month to go and only 4 games left, we could start believing but like Stevie says ‘Not Yet’ and lets focus on Norwich City. Suarez might smell a hat-trick too! With DelhiKop being one of the best supporter groups in India, we can assure you a triple header of the 4 games remaining, not to forget Crystal Palace is a Monday night kickoff and cant be screened!